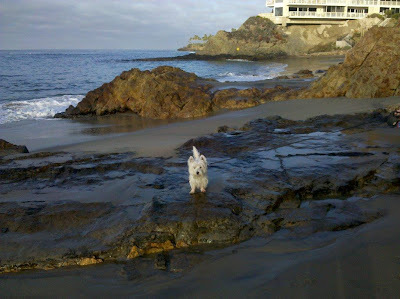 The White Dog Blog: It's all good! Looks like waaaaay fun there Duncan. I love the beach, too, as you've probably noticed. Enjoy the stink! You're so lucky! I love going to the beach! HOLY MOLY!!!! You get to be on the beach with no leash!! I would run run run!!! I do not like that water...scares the bee-jesus out of me!!! Glad you got to go out...dog houses are for bad dogs and you my friend are a good dog!!!! You know me well my friend ... I actually WAS on a leash as I am a run, run, runner too. You just can't see it in the picture!!! Looks like so much fun. I wish I could go to the beach, you lucky dog!! Bet you had a blast at the beach! We love to run on the beach!!! And yes, even roll in the stinky stuff!